OnlineRME is a comprehensive management tool for regulators and service professionals. Regulatory entities are currently managing millions of septic systems (simple and complex) with OnlineRME - and they're seeing reduced system failures as a result. 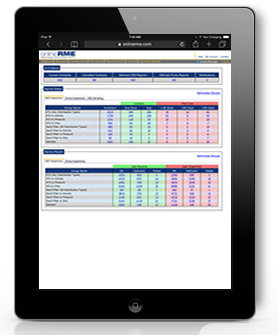 Septic system service professionals can manage their customers through OnlineRME as well. Just to name a couple of features for the service professional, they can track customer contracts and schedule inspections (or other activities) due. Inspections are based upon specific site characteristics. There are no flat reports so the reported data is meaningful. Shows deficiencies, and allows generation of enforcement letters. OnlineRME is intended to be used by regulators at no cost. The services are covered by a small fee associated to the submittal of service reports paid by the service professionals. Regulatory entities may also collect a fee associated with reporting or contracts to fund their programs. Service professionals, system manufacturers, lenders and corporate facility managers. Your historical data is always available. Never deleted - ever - no matter what! OnlineRME is a system which both small and large agencies may use. The following workflow process is just a brief overview of how the system works. Service provider completes the necessary field work. The service work is reported into OnlineRME by the service professional. Service reports are avaliable for review by the regulatory entity. Reports are prioritized based upon regulatory requirements. OnlineRME allows the regulatory entity to respond to the most critical deficiencies first. OnlineRME's database experts will work with your IT department to determine the best method of integrating data. No interaction: OnlineRME can be used as a completely stand-alone reporting tool with no electronic interaction or communication with any other databases. Service providers enter reports into OnlineRME, and your personnel review the reports and act on them. You can export your data anytime you desire so that you can retain backups. Indirect interaction via export/import: If your database is not accessible to the Web because of lack of resources or security concerns, you may use the vast number of OnlineRME exports, which can then be imported into your database. Web-services: Web services may be utilized to interact between various data systems. Remote server interaction: OnlineRME maintains a remote server to enable data uploads and downloads of property and report data. If you are interested in maintaining the key data from submitted reports on your server, we will provide the ability to download that data. Most management entities have this process automated to download report data each evening. OnlineRME services are funded by nominal recording fees that service providers pay for the reports they enter into the system. 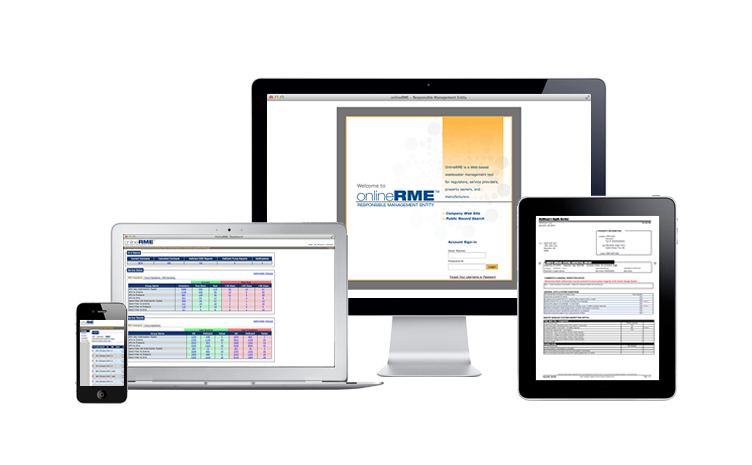 In addition, regulatory agencies can use OnlineRME to collect their own reporting, contract, or operational permit fees. These fees can be collected monthly via OnlineRME's automated process or by means of a manually queried report, which shows all activities that have not been billed for. in jurisdictions that use manual billing, OnlineRME still assesses its own report fee, and service providers still pay for it online, using a credit card.